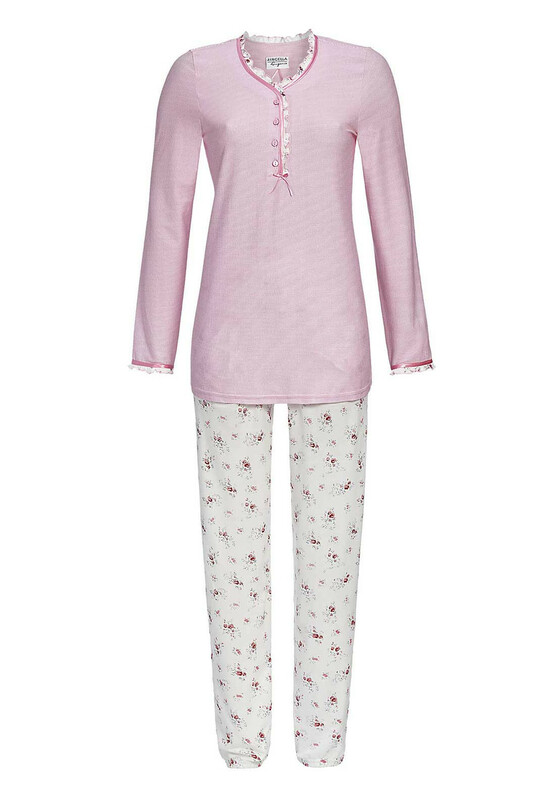 Drift off into a dream filled slumber with this pretty pyjama set from Ringella which is crafted from pure cotton which will deliver a comfortable night’s sleep. The longsleeve pyjama top has a pink striped pattern throughout and contrasting floral print ruffle trim at the cuffs and half button placket. The floral printed white pyjama bottoms have pockets and an elasticated waistband and leg cuffs.